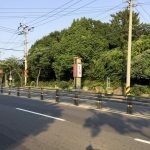 Although Jeju City boasts the most urban area on South Korea’s Special Self-Governing Province, its lack of crowds indicate its second-tier status to the more than 100 unusual museums and architectural wonders that dot the island. 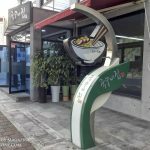 But for those who want to create a self-paced food tour of Jeju’s greatest hits, downtown Jeju City is a gold mine. 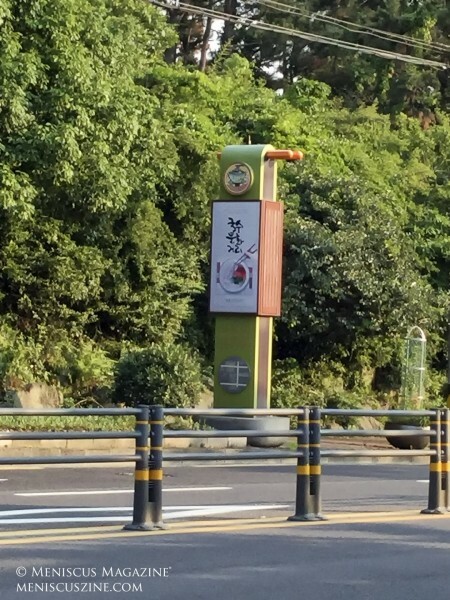 Covered markets feature the island’s signature tangerines (gamgyul) – with the Hallabong being one of the more famous types – and specific streets are dedicated to offerings such as raw fish and black pork. 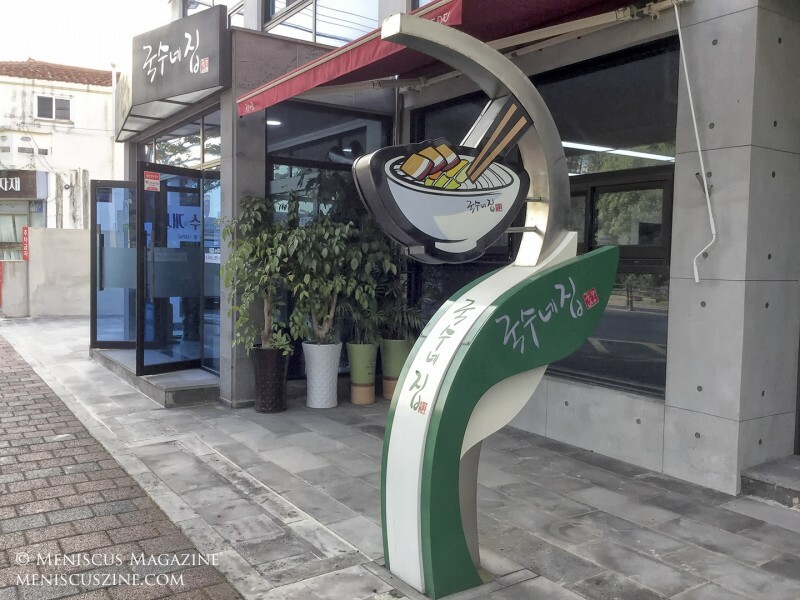 One of these is the Jeju Noodle Culture Street, a walkable stretch of 11 restaurants celebrating a dish unique to the island: gogi-guksu, or Japanese-style noodles with pork soup. 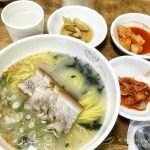 According to The Jeju Weekly, this dish is indicative of the historical and economic ebbs and flows that Korea has experienced. 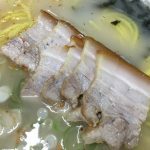 During the Japanese occupation, both pork and noodles were considered luxury ingredients – the latter too difficult to make locally – so such dishes were reserved for special occasions. 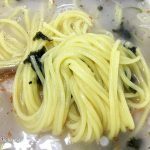 The noodles disappeared from menus over the years as the country became more prosperous and subsequently viewed the ingredients as cheaper food. 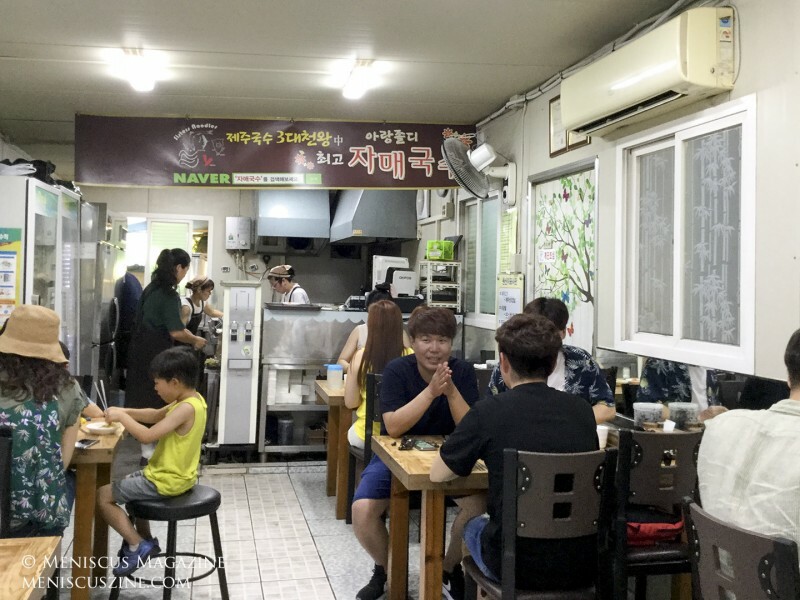 Then, according to the newspaper, when the Asian financial crisis hit, a Jeju dish was born. 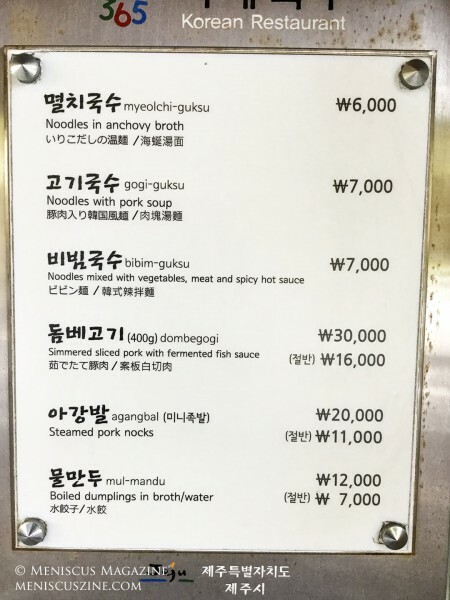 Those longlost noodles brought over from Japan combined with specially-prepared pork meat and broth – a traditional Jeju soup that has been around for more than a century, according to the government – spawned a fairly recent mashup. 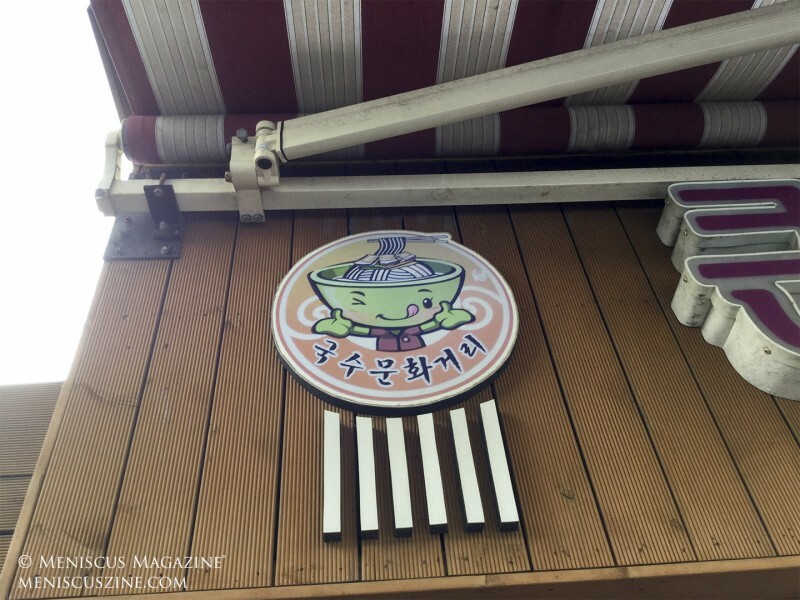 As such, gogi-guksu can only be found in Jeju. 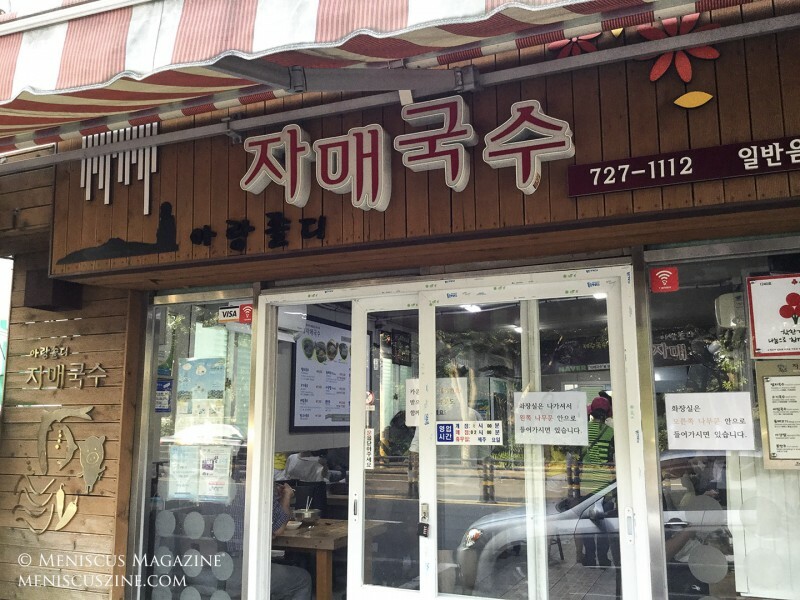 Of the restaurants listed, locals recommended that I try Sisters Noodles (Jamae Guksu or 자매국수). 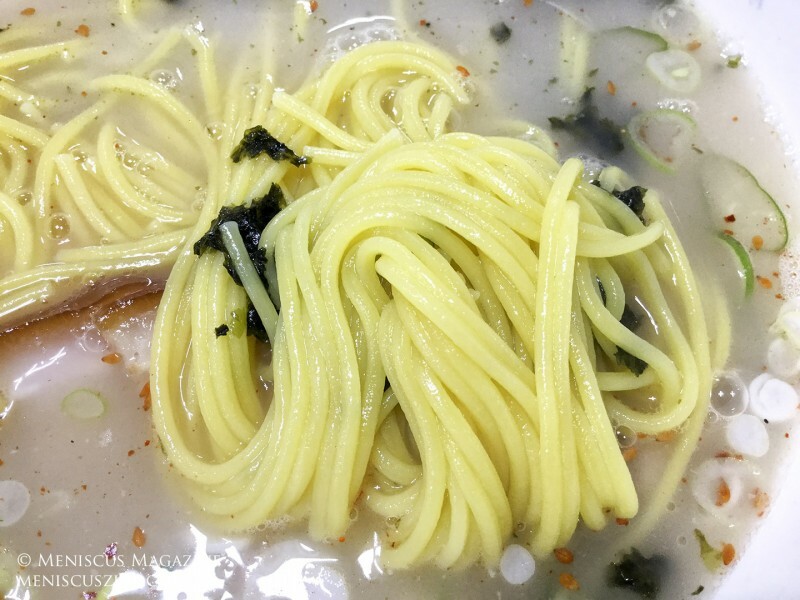 Compared to Japanese ramen and Korean ramyun, gogi-guksu is surprisingly clear – perhaps even a bit unremarkable by itself prior to seasoning. 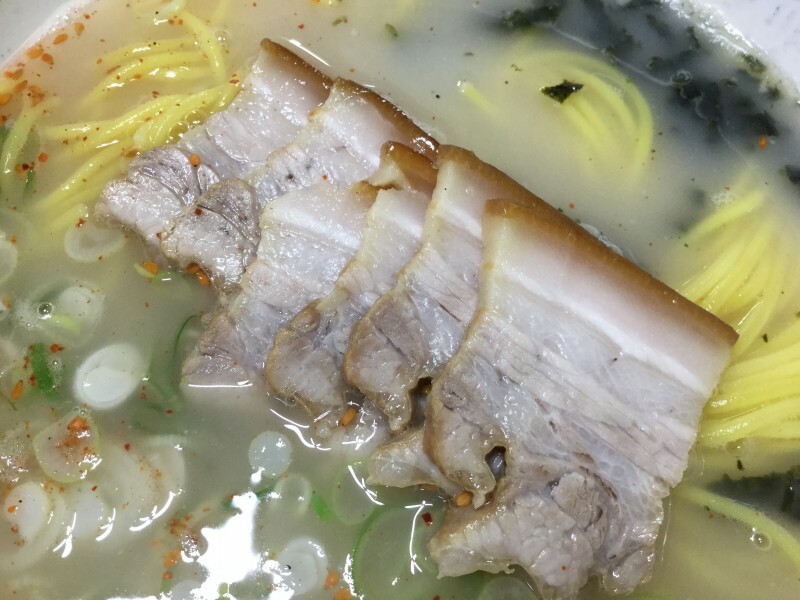 The meat is also refreshingly light, thinner and less fatty. 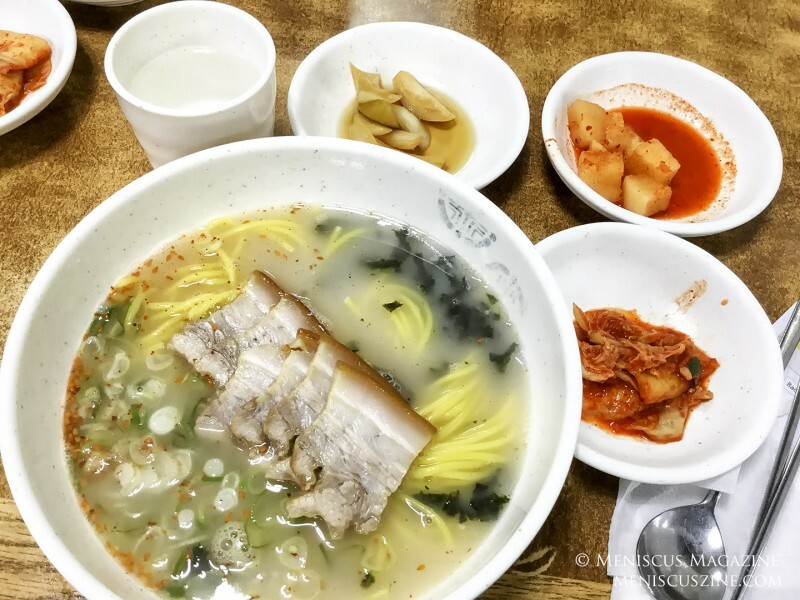 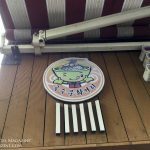 At 7,000 KRW (about US$7) a bowl, a large bowl of noodles with several pork slices and the customary side dishes are placed on your table. 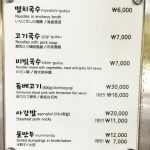 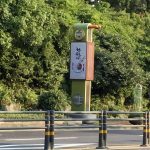 The full list of the 11 restaurants along Jeju Noodle Culture Street follow, although note that most are adjacent to each other. 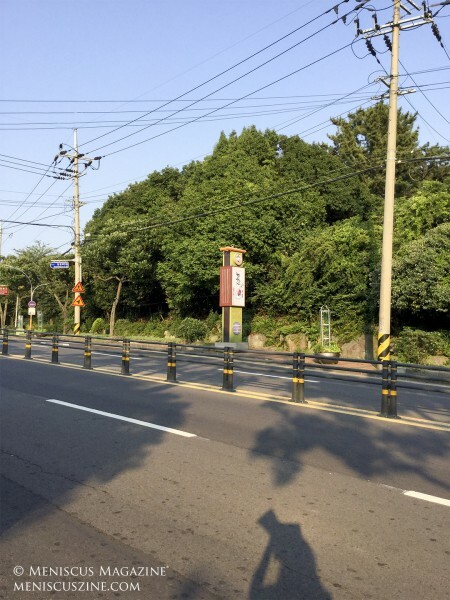 They border a corner of Sinsan Park and are within walking distance of the Jeju Folklore & Natural Historical Museum. 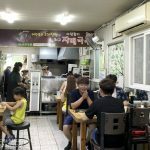 According to a tourism brochure promoting the street, this restaurant closes when it has run out of ingredients for the day.